This amazing stitch inspired by amigurumi unicorns will be a fun project to make. You can follow the free pattern in English, you can also follow the video tutorial in Spanish. 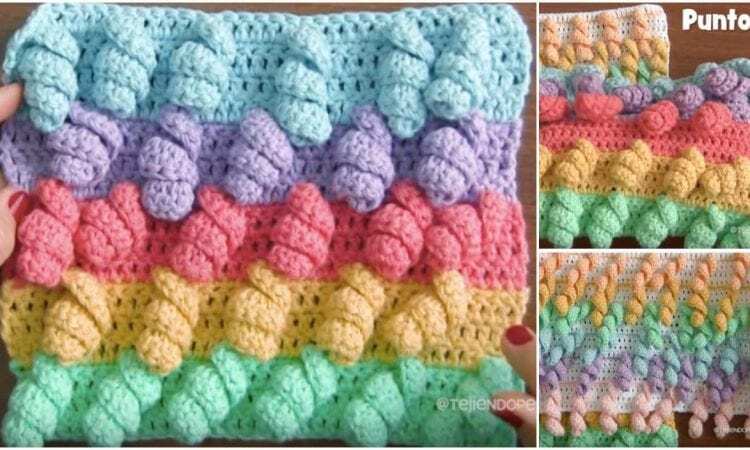 This is a great idea for a highly textured baby blanket, that will give the little one something to explore with their hands, mouth and eyes. It’s also colorful and attractive in its own right. Links to the free pattern and video tutorial are at the end of the post. I love it. It’s on my list to make.